Vitamin D deficiency is common among patients with juvenile idiopathic arthritis (JIA) and is associated with higher disease activity and an increased risk for the development of uveitis, according to results of an ongoing prospective, observational, controlled, multicenter study published in Arthritis Research & Therapy. The investigators sought to assess 25(OH) vitamin D (25[OH]D) status of patients with JIA and to determine whether 25(OH)D level is linked with disease activity and course of JIA. Patients ≤16 years with recently diagnosed JIA (defined as JIA of <12 months) were enrolled in the current study. Laboratory and clinical parameters were established quarterly during the first year of the study and semiannually thereafter. Overall, a total of 954 patients were enrolled in the study, of whom 360 individuals with 2 blood samples obtained during the first 2 years after study inclusion and with 3 years of available follow-up were selected. Serum 25(OH)D levels were determined and compared with those of individuals from the general population, who were matched for gender, age, migration status, and month that the blood was drawn. Nearly one-half of the patients evaluated had deficient 25(OH)D levels (<20 ng/mL) in the first serum sample drawn and approximately one-fourth had deficient 25(OH)D levels in both samples that were obtained. Disease activity (as measured by the clinical Juvenile Arthritis Disease Activity Score) was inversely correlated with mean 25(OH)D level (β = –0.21; 95% CI, –0.37 to –0.05; P =.001). Moreover, the risk for development of JIA-related uveitis was also inversely correlated with mean 25(OH)D level (hazard ratio, 0.95; 95% CI, 0.91-0.99; P =.022). A major strength of this study is its prospective, controlled design, with standardized data ascertainment. Additional research is warranted to validate these results and to determine whether the improvement in 25(OH)D level is beneficial in patients with JIA. 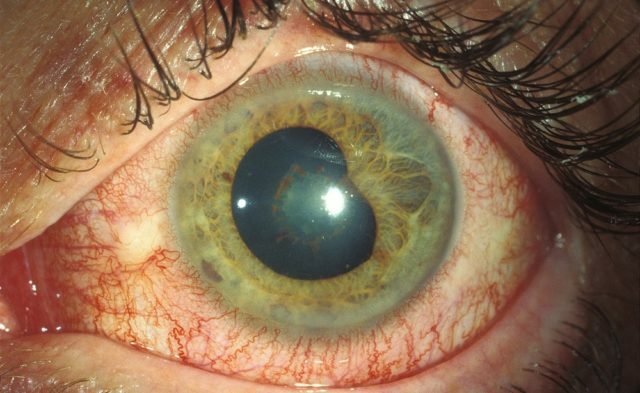 Although the prevalence of vitamin D deficiency among patients with JIA was lower than that among matched controls from the general population, 25(OH)D deficiency among this population is linked with higher disease activity and an increased risk for uveitis. Sengler C, Zink J, Klotsche J, et al. Vitamin D deficiency is associated with higher disease activity and the risk for uveitis in juvenile idiopathic arthritis – data from a German inception cohort. Arthritis Res Ther. 2018;20(1):276.